Jens has a new burst of confidence after the speed-dating event. He is sure that all three girls liked him a lot. Now he has to decide which of the ladies he wants to take on a real date. Who is the most intelligent? Who is the strongest? And above all (for Jens), who is the richest? Before we hear Jens's decision, we need to learn how make comparisons in German. There are two types of comparisons. You can compare two things and say that one thing is better, faster, bigger than something else. Or you can say that something is the best, the fastest, the biggest of all. Add –er to the end of the adjective to make it mean more/greater. AND put the word als (than) after the adjective. Das Auto ist neuer als das Rad. The car is newer than the bike. Deutsch ist schwerer als Mathematik. German is more difficult than math. 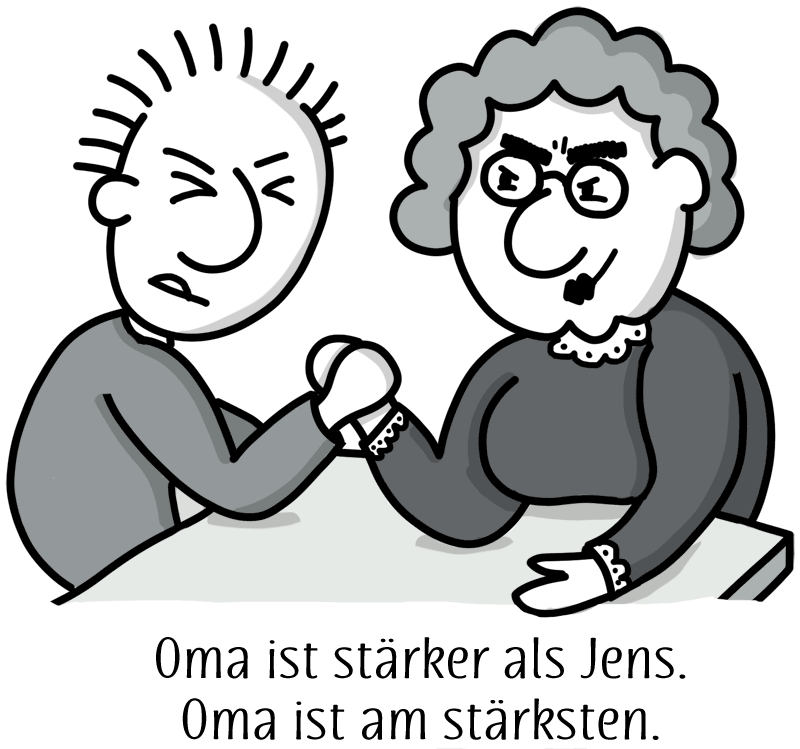 Oma ist stärker als Jens. Grandma is stronger than Jens. Jens ist jünger als Oma. Jens is younger than Grandma. Oma ist größer als Jens. Grandma is taller than Jens. AND put the word am before the adjective. Again, watch out for those pesky umlauts in some of the one-syllable adjectives! Meine Haare sind am dunkelsten. My hair is the darkest. Mein Bier ist am kältesten. My beer is the coldest. Der Stift ist am kürzesten. The pencil is the shortest. Ok! Now we're ready to hear what Jens thought of his dates! After spending only a few minutes with each woman, Jens already has some interesting observations. Here's what Jens is looking for. Just for fun, see if you can guess what each of these adjectives mean in English. Then click on each to see if you guessed right! So how do the three ladies stack up? Listen to Jens’s observations. 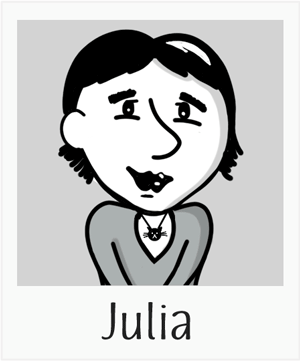 Julia ist nicht so intelligent. Julia is not so smart. 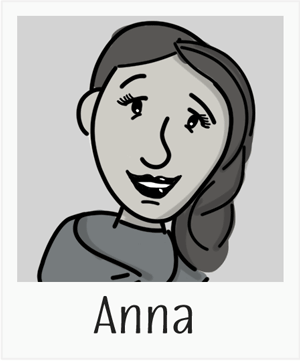 Anna ist intelligenter als ich. Anna is smarter than me. Die drei Damen sind stärker als ich. The three ladies are stronger than me. Julia ist schöner als Lena. Julia is prettier than Lena. Lena ist größer als ich. Lena is taller than me. Die drei Damen sind laut. The three women are loud. Lena und Anna sind haarig. Lena and Anna are hairy. Julia ist haariger als ich! Sie ist perfekt! Julia is hairier than me! She is perfect! Lastly (and arguably most important for Jens), how rich are these ladies? Let's flip things around: See if you can figure out how Jens is going to say each of these, and then click each one for the answer. Lena is richer than me. 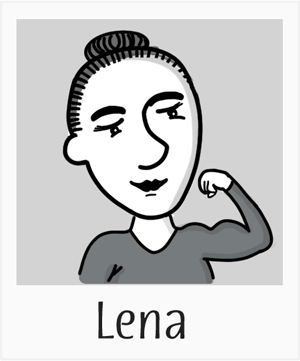 Lena ist reicher als ich. So Jens, which of your speed-dates did you like best? So Jens has chosen the least intelligent, hairiest, loudest, tallest, richest lady. Cue the romantic music and light the candles! We can’t wait to see how this date turns out!